I have stepped into Raffles Arcade countless times, but not so the actual interiors of the illustrious Raffles Hotel. So it was without hesitation that I accepted an invitation to check out the Tiffin Room at Raffles Hotel. 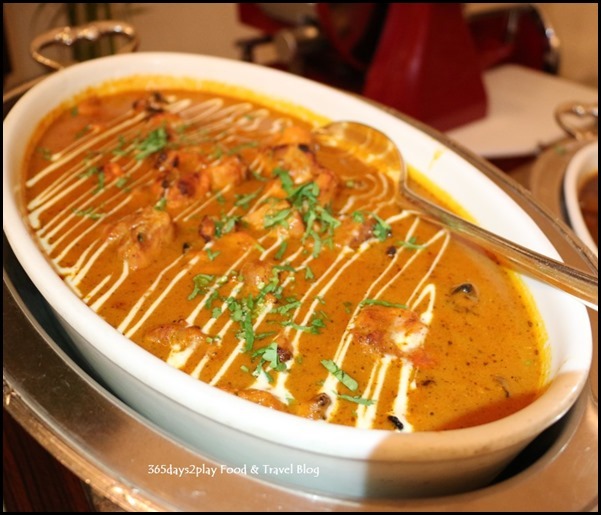 The Tiffin Room serves a North Indian buffet, including vegetarian curries for non-meat eaters. 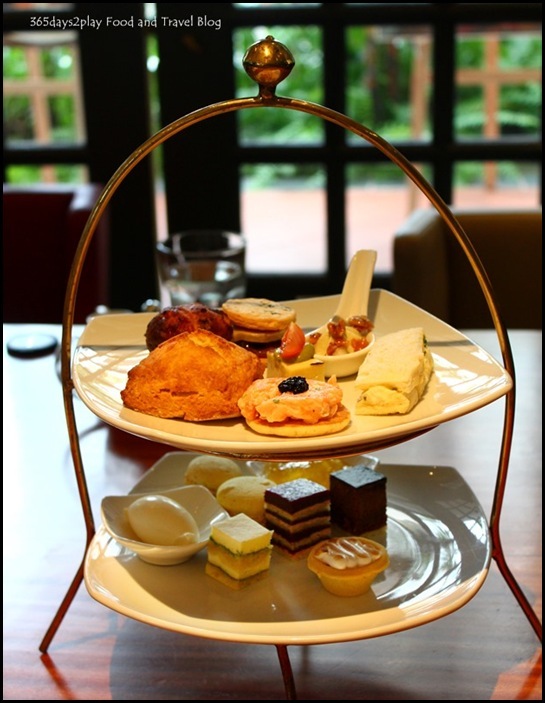 Interestingly, Raffles Hotel’s afternoon tea service is also served at the Tiffin Room and not somewhere else. Did you know that Raffle’s Hotel Tiffin Room was officially named so way back in 1976? I’d been to Tiffin Room once with my parents, many years ago, could probably have been a decade ago! I remembered it to be a posh place with lots of delicious curries to choose from and I found it difficult to try every single curry because everything was so delicious and there was just no more space in the stomach! Well, nothing much has changed a decade later, it’s like stepping back in time when I revisited the Tiffin Room a few weeks ago. 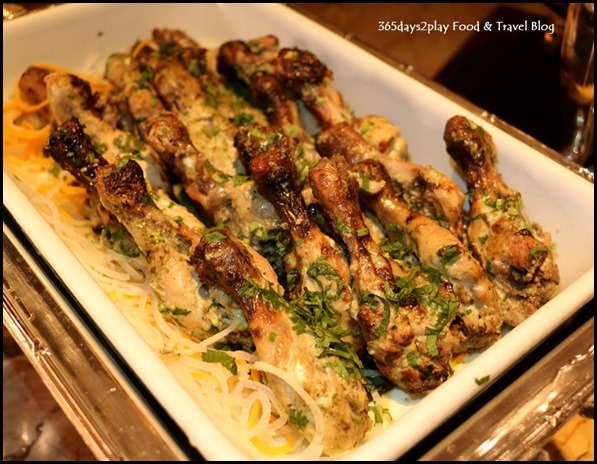 Curries and other Indian dishes are still the stronghold here, and aside from the salad and cheese bar, don’t be expecting other types of cuisine here. That’s not a problem for me because I love Indian food, but if you don’t, I’d say go with an open mind and you might just be delighted. One of my favourite dishes of the evening as the chicken drumsticks were succulent and really tender with just a bit of charred taste. I must say all the curries I tasted were fantastic. Even if you just had the curry itself without the ingredients, I could have finished half a plate of rice just with that. This year, I have been trying to make it a point to actively check out new experiences instead of settling for the usual cafe hopping thing every weekend. 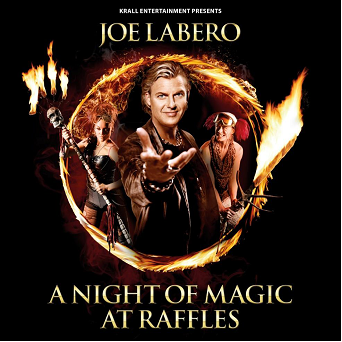 So when PR Communications contacted me to check out Joe Labero’s magic show, I keenly accepted. I still remember the awesome time I had a gazillion years ago when my aunt and uncle brought me as a kid to watch David Copperfield in Singapore. I was amazed with the reality defying tricks! Of course, watching a magic show as an adult would be quite different, and I was keen to see how Joe Labero would perhaps stun me like vegetable (oops…). Besides, the show would be held at the Jubilee Hall, and I was quite keen to reminisce the last time I stepped in there, which was in secondary school for my school play! 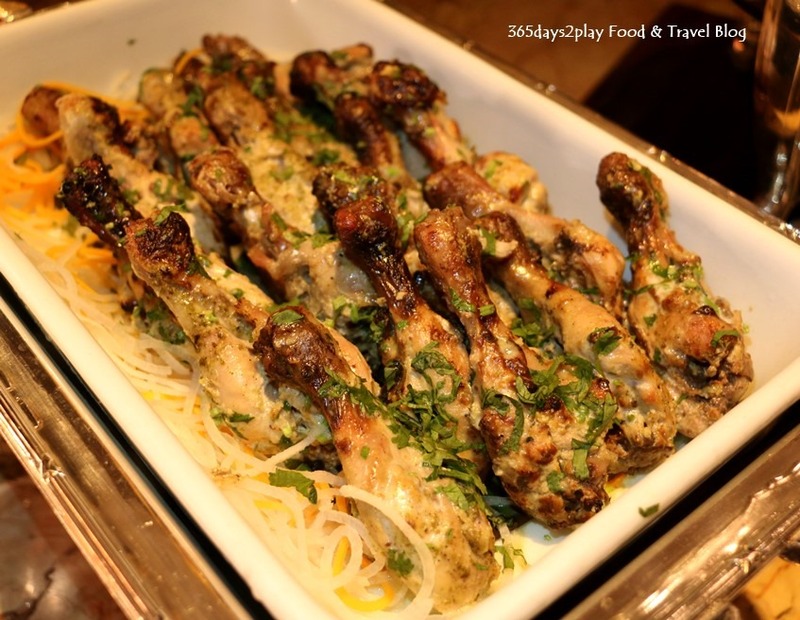 Contrary to popular belief that dining at Raffles Hotel is only limited to the rich or for special occasions, The Halia at Raffles Hotel bucks this trend by offering value for money dishes which you can enjoy any day of the week. 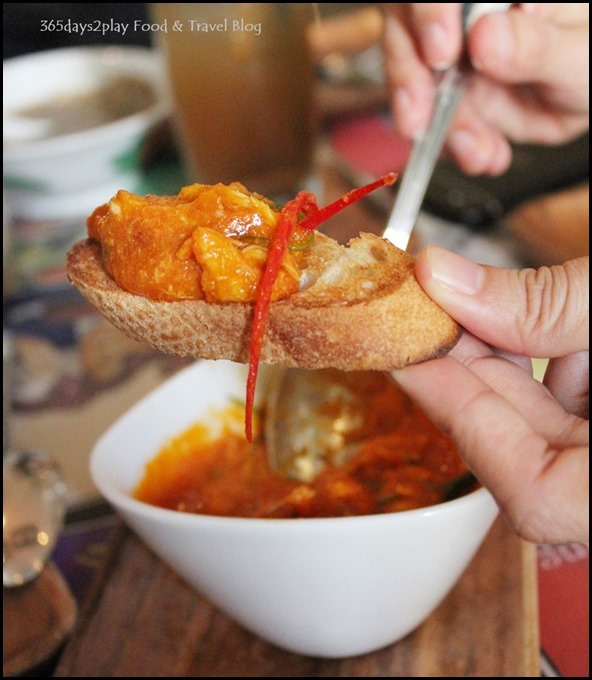 In fact, Halia has always prided itself on a dining concept that encourages flexibility and communal dining, coming up with dishes classified as “big plates” or “small “"plates” instead of the usual “appetizers” and “mains”. And they are priced accordingly too, unlike many tapas restaurants I know of that sneak in main course pricing into their miniscule appetiser sized dishes. Yes, ever since I was served 3 chicken mid-wings (not the whole wing mind you!) for $20, I’ve almost all but sworn off tapas restaurants. 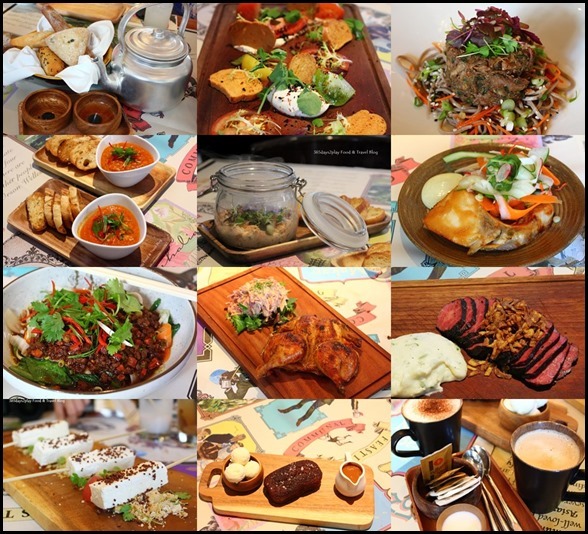 One of the latest promotions to be dished up at Halia is their $260++ Communal Feasting set, which is essentially a set meal for 4 people. 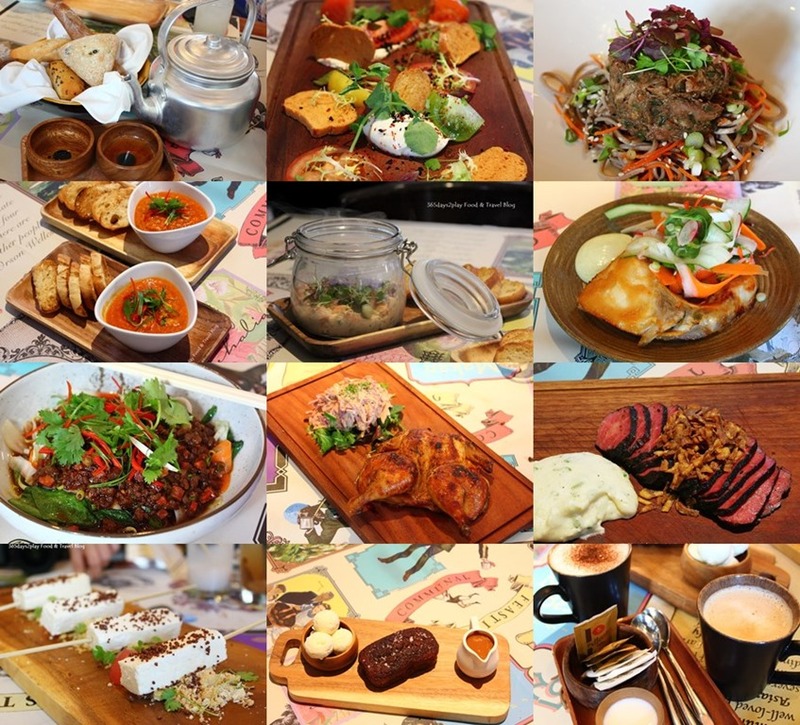 This is no ordinary set meal though, it has TWELVE dishes! Now is that value for money or what? 5 or 6 small eaters may even share this meal! 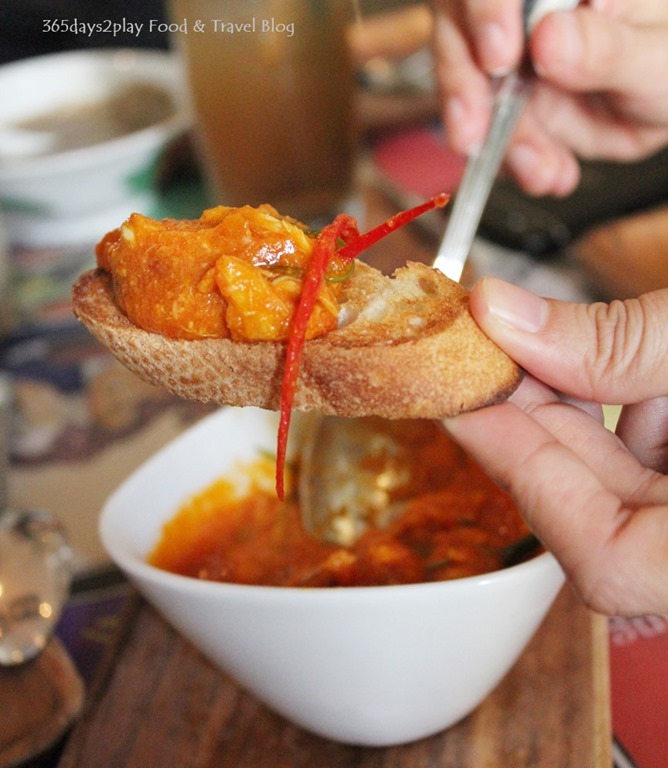 Check out the photos of what we sampled for the Communal Feasting set. I’m always on the look out for nice places to have afternoon tea. You know, I think that Singapore really could do with more afternoon tea places. I know we have lots of interesting new cafes, especially in recent times where we are literally seeing a new cafe pop up each month. 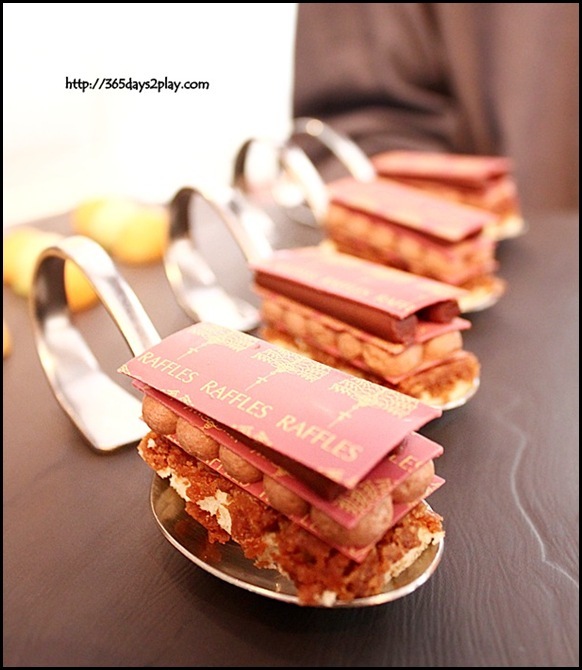 But I’m talking about decadent afternoon tea places, places from yesteryear, that make you dream of faraway lands. For just those few blissful hours, each sip of tea and each morsel of macaron transports you to a place lost in time, where stress and tiresome duties do not exist. 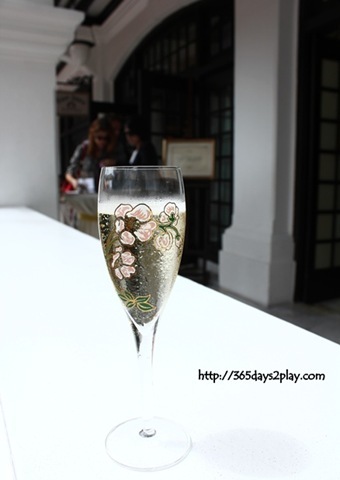 And so I was glad to make acquaintance with the new Halia at Raffles Hotel. Halia takes over the spot which was once occupied by Seah Street Deli. Afternoon Tea Service is available here daily from 3pm to 5pm. 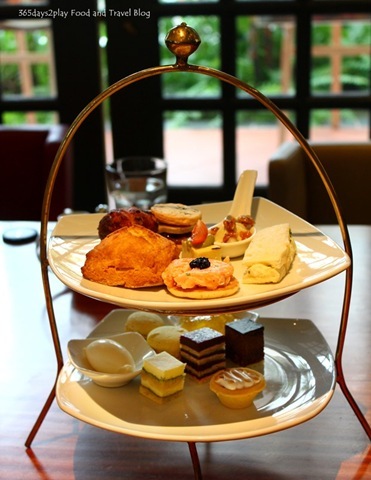 For $35++, a two-tier tea stand with a scrumptious selection of sweet and savoury nibbles will be served to you. The long and short of it all, is that all of the items were pretty delicious. I’ve come across several other afternoon teas where some items are really mindblowing, while other items are not worth your calorie intake. 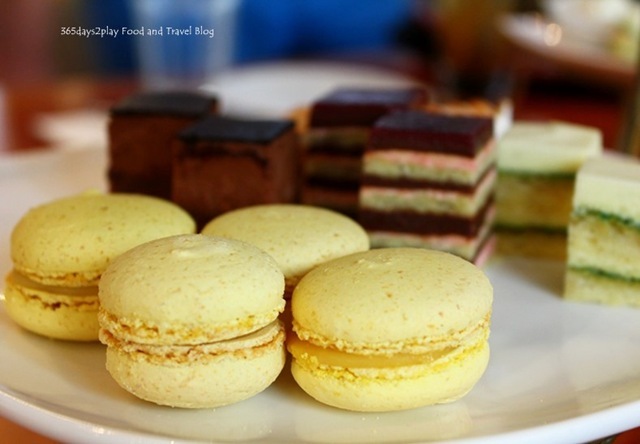 At Halia’s afternoon tea, there aren’t any items that are overly rich or cloying. This is the entire set that will be served, along with your choice of a drink. It may not look like a lot, but guess what, I had to tabao a few items home! Scroll all the way down to check out the entire list of food items available in the 2 tier service. Which do you normally start with, the desserts, or the savouries? 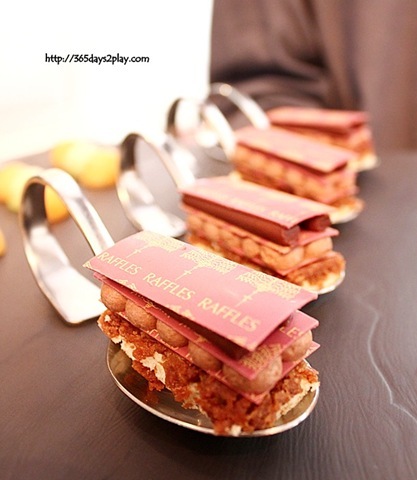 For me, I’ll definitely start with the savouries, but I think the desserts tend to make a more droolsome photo. This picture here plus a few other below show double the number of goodies but the accurate reference picture is the 1st picture at the top. Was at the 2nd Rendezvous with French Cinema event earlier this month at Raffles Hotel. Highlight of the day was to meet the famous French actress Sophie Marceau. Some might remember her in one of the Bond movies, The World is not Enough. I don’t watch all that many movies but I did happen to catch that one and I enjoyed it a lot. I really admire Sophie Marceau and people like her. She has kids yet she still manages to juggle a backbreaking jet setting career. The idea of having to fly all over the world and live out of a suitcase may seem daunting, but wouldn’t that really be living life to the fullest? Sometimes I wish I were doubly busy with back to back appointments. Then I can say to myself that I’ve made use of every minute that I have. Of course it would be a fine line between just packing your days with inane stuff, versus going slowly but doing more meaningful work. Anyway, since the highlight of the event wasn’t so much about food, I didn’t take many photos of the canapés served. Couldn’t resist taking a picture of the Champagne and pretty chocolate pastry though. The Champagne was the 1st thing I had that day! Ain’t these just so pretty???? BTW, the cakes at Ah Teng Bakery in Raffles Hotel are surprisingly affordable at about $6 a slice. Considering it’s Raffles Hotel, that pricing is quite palatable!